Last week (9th – 18th February) saw the fifth year of the Game and Wildlife Trust’s (GWCT) annual Big Farmland Bird Count (BFBC). To take part, farmers and gamekeepers up and down the county undertook 30 minute bird counts on up to 2ha of farmland. 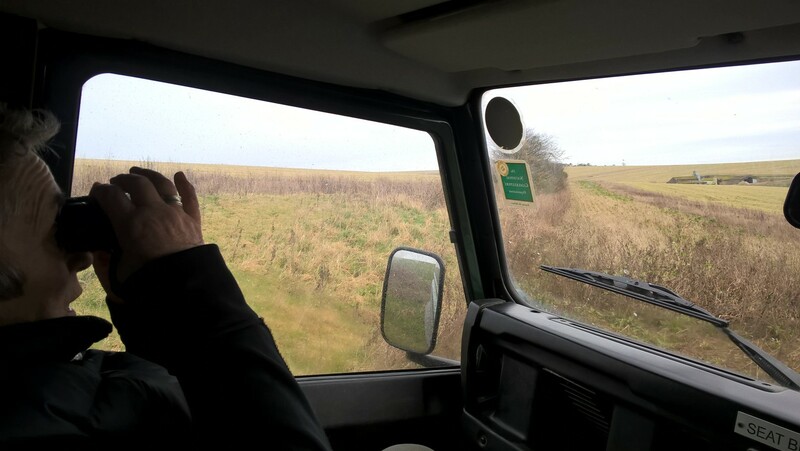 There were no stipulations as to where the counts should take place, but it was suggested that they include habitats such as wild bird seed mixtures and stubbles, or areas of supplementary feeding where the highest number of birds could be expected. One such count took place at the Wiston Estate on the South Downs in West Sussex. 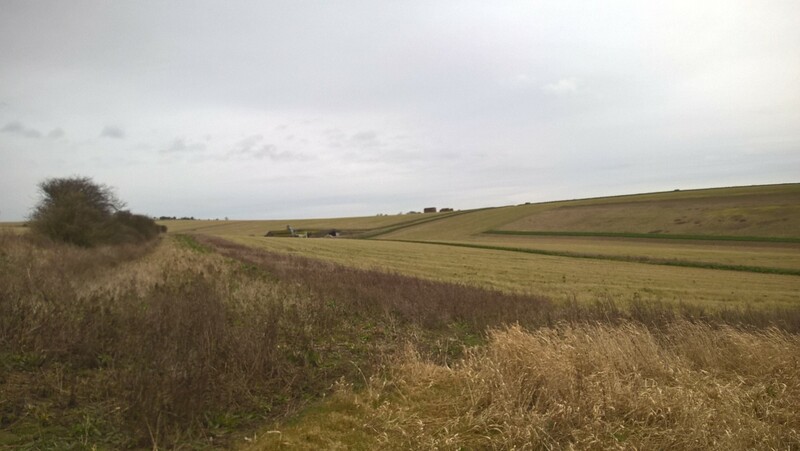 Counting from a Landover that acted as a mobile hide, the area covered included conservation headlands, wild bird seed mixtures and overwintered stubbles, all of which had been attracting birds’ right through the winter. However, having missed the bright conditions earlier in the week, the day in question was windy and overcast, not what you’d call ideal bird watching weather! Having parked up in the corner of the field, the count started well when a pair of grey partridges broke the cover of an adjacent hedge and wandered into an unharvested conservation headland. The gusty wind blew small groups of yellowhammers in and out of a thick thorn hedge, and a large flock of starlings worked the fields, constantly jumping ahead of one another as they went. Two kestrels hovered over the stubble, with one diving down to pounce on an unwary vole. All was disturbed as a peregrine flew through at high speed, but soon lifted with the wind and disappeared to the east. The half hour count went by in a flash, with stock doves, linnets, skylarks, pheasants, chaffinches, black birds, wood pigeons, carrion crows and rooks also being recorded. Corn buntings are also known to frequent the area, but unfortunately didn’t put in an appearance for the count. Despite the weather, it was clear that a huge number of birds were benefitting from the habitats that are being managed on the Estate, and illustrated just what could be achieved when the right management was done well and in the right place. As the results come in from similar counts up and down the country, it will be interesting to see what the overall figures show. If the count on the Wiston Estate is anything to go by, there will be lots to report!